An international team of researchers has discovered a new group of oil-eating bacteria in the mysterious ecosystem of the Mariana Trench, according to a study published in the journal Microbiome . Located in the Western Pacific, the deepest part of the trench lies in staggering 36,200 feet below sea-level. If you were to Mount Everest at the bottom, the peak would be around 7,000 feet from the surface. Because it is so difficult to access, there have only been a handful of expeditions to date investigating the organisms that live in this harsh environment — where the pressure in some parts can reach the equivalent of 2,400 pounds pressed onto a single fingernail. In fact, scientists say that we know more than we do about this strange deep-sea ecosystem. An attempt to address this lack of knowledge, the research team collected samples of microbes in the deepest part of the trench using submersible technology . These samples were then analyzed, allowing them to identify a new group of bacteria that degraded hydrocarbons — organic compounds made from hydrogen and carbon atoms found in many places, including crude oil and natural gas. According to Lea-Smith, we know that similar hydrocarbon degrading organisms — which have been found in nearly every environment on Earth — play a major role in consuming oil released in events such as the Deepwater Horizon explosion in the Gulf of Mexico. In fact, the authors suggest that a significant proportion of the oil degradation bacteria that they found in the trench derives from pollution on the surface of the ocean. Surprisingly, they also found naturally occurring hydrocarbons in the ocean sediment at the bottom of the trench. 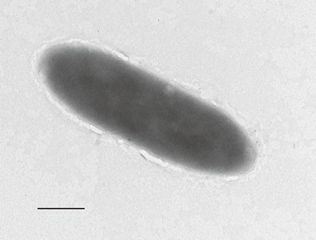 The researchers think that these hydrocarbons could help some microbes survive the crushing pressures near the bottom of the trench, while also acting as a food source for others. However, more research is needed to shed light on the organisms living here.